So you think you know Hockey? This play hockey quiz at gamerisms is designed to test your knowledge of the game. It will build your vocabulary while teasing your brain. Expand your Hockey vocabulary while having fun.Ready, set, GO! 1) What does the hockey term, Howitzer mean? A. The act of stopping the puck by placing ones body in front of it. B. A very hard and fast slap shot. C. Shot made in the incorrect direction down the ice. 2) What is a Biscuit according to hockey players? A. Lingo for a hockey puck. B. The round section at center ice where play begins. C. The helmet the players wear. 3) What is a Sleeper in hockey games? A. Puck that seems to travel in slow motion down the ice. B. Term for a goalie that appears sluggish or not focused on the game. 4) What does the hockey term Bar Down mean? A. Term used to describe a shot that causes the goal to move. B. Striking the ice with the stick in a downward motion. C. A goal that is scored by hitting the cross bar of the goal first. 5) What is a Flat Pass according to hockey players? A. Pass that does not go as far as intended. B. Term for a sliding pass. C. Pass in which the skater falls when striking the puck. 6) What is a One-timer during hockey games? A. Puck that is rapidly fired as soon as it is received. B. Puck that is only touched one time before going into the goal. C. Term for a puck that is hit into the goal from the face-off. 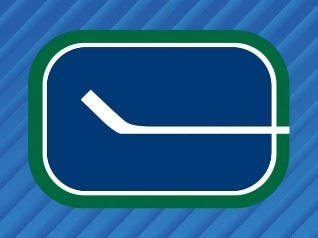 7) What does the hockey term Saucer Pass mean? A. Pass that goes up in the air, prior to reaching its destination. B. Pass that spins through the air on the way to the goal. C. Pass that falls flat to the ice and stops. 8) What is a Shutdown Player? A. Hockey Player who is called in near the end of the game. B. Hockey player who is easily stopped. C. Hockey Player that is a defensive specialist. 9) What does Sweep Check refer to according to hockey players? A. Taking the puck from the opponent by swishing the stick. B. Taking the puck from an opponent by sweeping it away with your skate. C. Getting the puck from a challenger by placing the shaft and blade flat on the ice. 10) What is a Dangler in reference to hockey games? A. Puck that seems to remain suspended in air for a short time. C. Player who holds to the back of the group while moving down the ice. Answers to Play Hockey Quiz. Did your score place you past the goal posts? 1) B. Howitzer: a very hard and fast slap shot. 2) A. Biscuit: lingo for a hockey puck. 3) C. Sleeper: player who sneaks into the center or neutral zone behind the defensemen. 4) C. Bar Down: a goal that is scored by hitting the cross bar of the goal first. 5) B. Flat Pass: term for a sliding pass. 6) A. One-timer: puck that is rapidly fired as soon as it is received. 7) A. Saucer Pass: a pass that goes up in the air, prior to reaching its destination. 8) C. Shutdown Player: a player that is a defensive specialist. 9) C. Sweep Check: getting the puck from a challenger by placing the shaft and blade flat on the ice. 10) B. Dangler: an expert stick handler that moves through the defense with ease. Along with Play Hockey Quiz, there is a 4-part Hockey Glossary at gamerisms.